With the new year here, many graphics bundles offered in 2017 are about to expire. As you embark on new projects, you may want to snag some of these graphic design deals before they’re too late. We’ve scoured through the internet to find some of the best limited-time design bundles of fonts, elements, backgrounds, textures, and so much more. The Fancy Deal has an offer from Genesis Lab with 26 fonts for just $25. Included in the bundle is Charlotte, a font that offers beautiful calligraphic lettering. Also included are Cherry Blossom, Camica, and more. 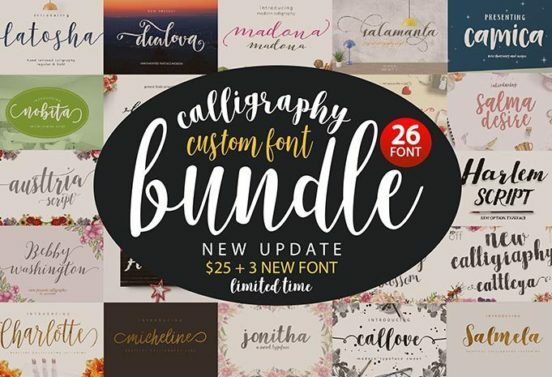 If you want to broaden your collection of calligraphic fonts, snap this up before it expires in less than 3 days. Here’s a free graphic bundle for a limited time: Flora. This collection has 20 seamless patterns in JPEG, EPS and AI. The monochromatic yet bold patterns will help you add definition and contrast to all of your designs. 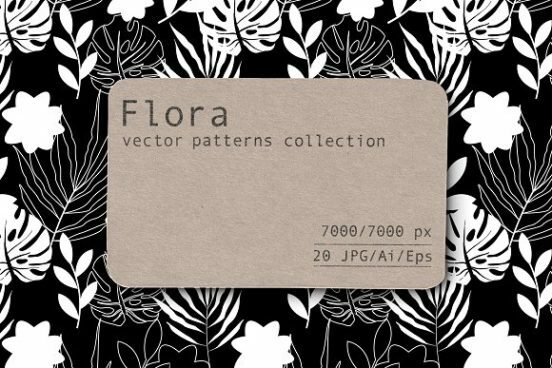 Flora is a limited time freebie at Creative Market. Consisting of 4 vector packs with over 700 vector images total, this mega bundle contains all of the themes you’d need for t-shirts, logos, menus and more. You’ll receive romantic, vintage, floral. nautical elements and more. You can get this bundle for just $24 but the price will go up in little over 2 days. Clipick Design Bundle Vol 3. Design for zoos, pet stores, dog groomers, or any animal-centered business or project with these great vector packs. The bundle comes with over 600 commercial use design elements from 24 design packs including foxes, otters, siamese cats, dogs, butterflies, nature elements and so much more. Available for just $12 and a $140 value, it will give you everything you need for whimsical design. 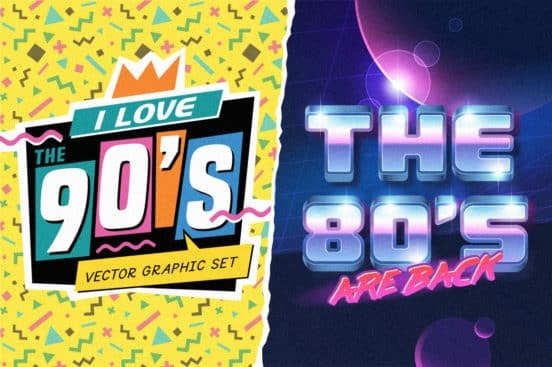 Relive the design aesthetics of 1980’s and 1990’s with a graphic design bundle inspired by the age. You’ll receive graphic images, design elements, fonts, and more, all adhering to the decades’ theme. The $8 pack comes with an extended license set so you can use it for commercial and personal projects, but the deal expires in 10 days. A “fractured, eerie look” achieved with this Photoshop glitch effect. 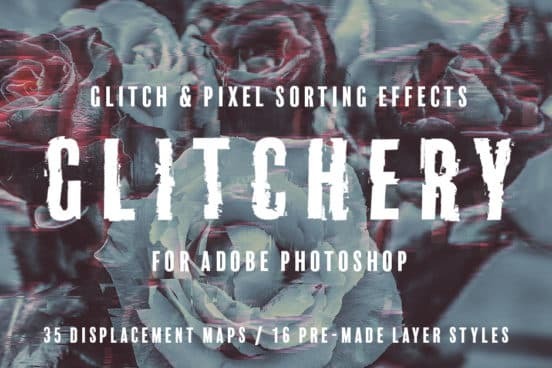 Glitchery helps you create atmospheric sci-fi and abstract distortions on art, text and typography. You can pick up the tool for $11 for a limited time as part of a launch special. 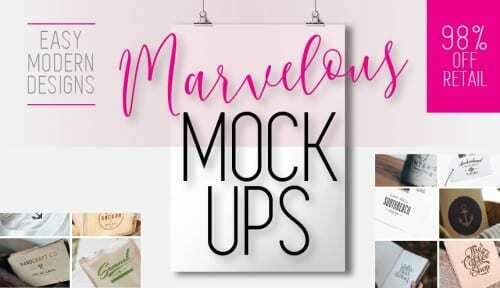 Create perfect mockups for your clients with an easy-to-use mockup pack with elements that blend together. It consists of indoor poster mockups, outdoor poster mockups, minimal frame mockups and more. Use it to showcase your clients’ brand in a variety of ways. It can be yours for $15 for a limited time. 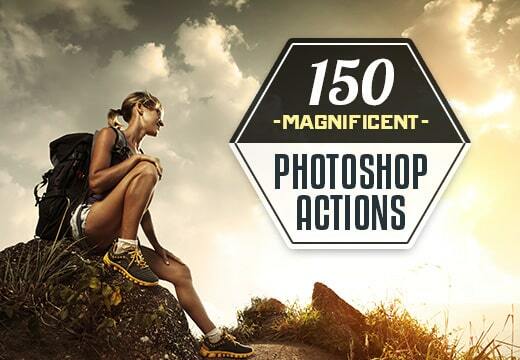 Photoshop actions let you transform images with the click of a button and save you minutes of editing time. The bundle features 150 actions with black and white, retro, cinema and light themes. Also included as a bonus are over 100 grunge overlays to add more effects to your images – everything is just $19 for a short time.